I hope for a long, healthy life. I hope to be able to realize my dreams. I hope to be able to meet people and collaborate with them on good projects. I hope to continue to paint. I hope to be able to enlarge my garden. I hope to find a partner that is strong and good for me. I hope to see my grandkids as adults. I hope that i inspire one person to be themselves. I hope to inspire lots of people to create art. 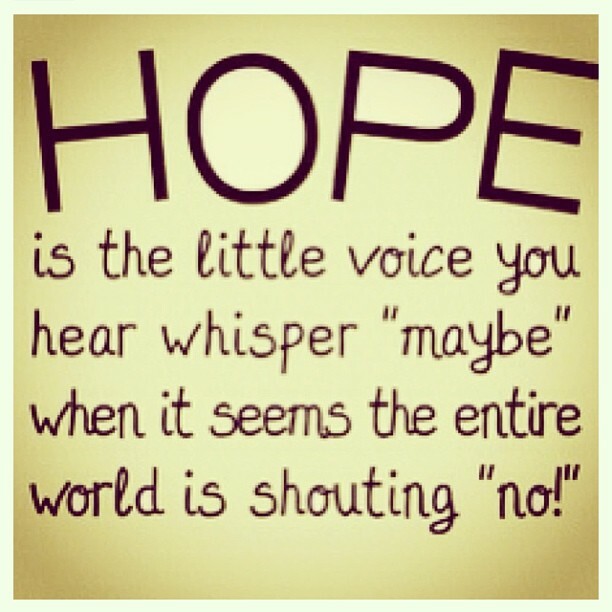 Where there is HOPE, there is a chance for success! !